Printing US dollar bills. 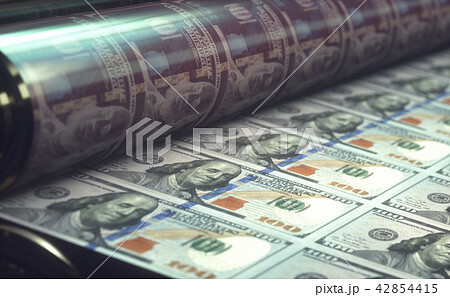 Concept of United States economy, buying and selling banknotes in the worldwide. Global finance and business.